Female athletes are known to have a higher risk of injuring their anterior cruciate ligament, or ACL, while participating in competitive sports. The chance of ACL tear in female athletes has been found to be 2 to 10 times higher than in male counterparts. Variations in risk depending on the study population, including the particular sport. Numerous theories about why women tear their ACL more commonly than men have been proposed. The most recent research points to differences in the biomechanics (the way our bodies move) of male and female athletes. The good news, as you will read, is that we have the ability to change the likelihood of ACL tear. Numerous studies have been done to investigate ACL tears in female athletes, and what is well known is that in sports that place a significant demand on the ACL, such as basketball, soccer, cheerleading, and others, ACL injuries are up to ten times more common in women than in men. It's no secret that men and women are built differently, have differently shaped skeletons, and have different body types. But the reason why the rate of ACL tear is different has been a subject of great debate. There are many anatomic differences between men and women, including pelvis width, Q-angle, size of the ACL, and size of the intercondylar notch (where the ACL crosses the knee joint). Limited studies have shown a difference in these factors, but not an ability to predict individuals who will sustain an ACL tear. It is known that the ACL has hormone receptors for estrogen and progesterone, and it has been thought that hormone concentration could play a role in ACL injuries. This was a popular theory, but most scientists agree that menstrual cycle has little effect, if any at all, on the likelihood of ACL tear. Stability of the knee is dependent on different factors. The two most important are the static and the dynamic stabilizers of the knee. The static stabilizers are the major ligaments of the knee, including the ACL. The dynamic stabilizers of the knee are the muscles and tendons that surround the joint. Women have been found to have differences in biomechanic movements of the knee seen when pivoting, jumping, and landing -- activities that often lead to an ACL injury. Landing position: When women land from a jumping position, they tend to land with the knee in a straight position, transferring the force of impact to the knee joint. Men tend to absorb more of the energy of impact by landing with their knees bent. Valgus alignment: Women have an increased valgus angle of their knees (a knock-kneed appearance) and movements of the extremity place more stress on the knee ligaments as a result of this alignment. The way we move (our biomechanics) can be modified through training programs. These training programs "teach" our body safer, more stable movement, that places less of a stress on the joints. These programs are called neuromuscular training programs. Neuromuscular training programs can lower the risk of ACL injury in female athletes. Prevention of ACL tears has been shown to be effective with the utilization of these neuromuscular training programs. These programs teach athletes muscles to better control the stability of their joints. Studies have shown when women perform these neuromuscular training programs, their risk of ACL tears drops down to the risk of men tearing their ACL (about an eightfold drop in risk). "Slauterbeck J, et al. 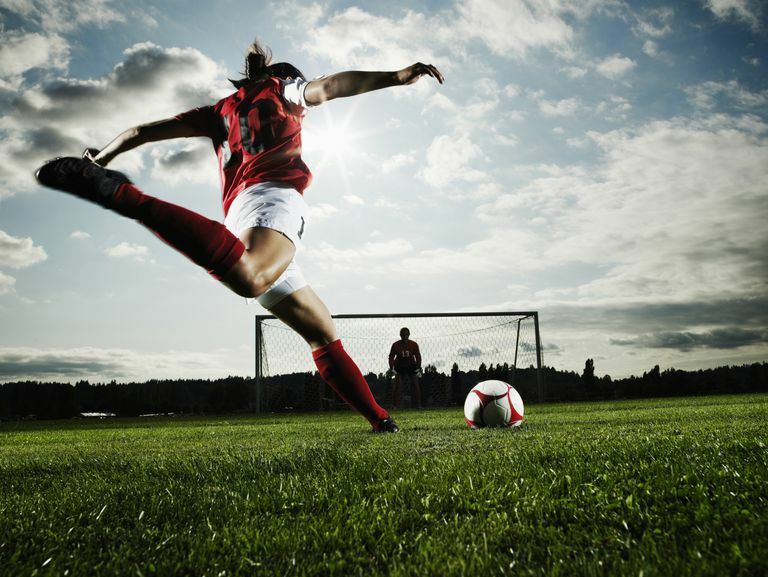 "ACL injuries in women: Why the gender disparity and how do we reduce it?" Orthopaedics Today 23:1, July 2003. Sutton KM and Bullock JM. "Anterior Cruciate Ligament Rupture: Differences Between Males and Females" J Am Acad Orthop Surg. January 2013; 21:41-50.